It has become an easy task to manage all the servers in your racks locally from a single workstation. Thanks to the KVM drawers for racks, there is no longer any need for traditional, space-hogging combined workstations with screen, keyboard and mouse. In fact, you connect directly to your KVM switch via a pull-out rack drawer of height 1U (standard rack height of 4.44 cm). For example, in your server rooms, you have several servers in one or more IT cabinets. 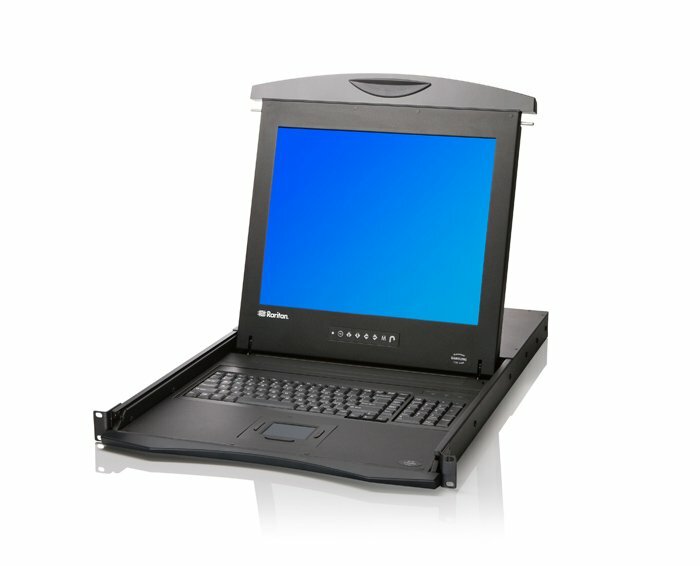 With the kvm rack mount monitor, access them from a single screen, keyboard and mouse. 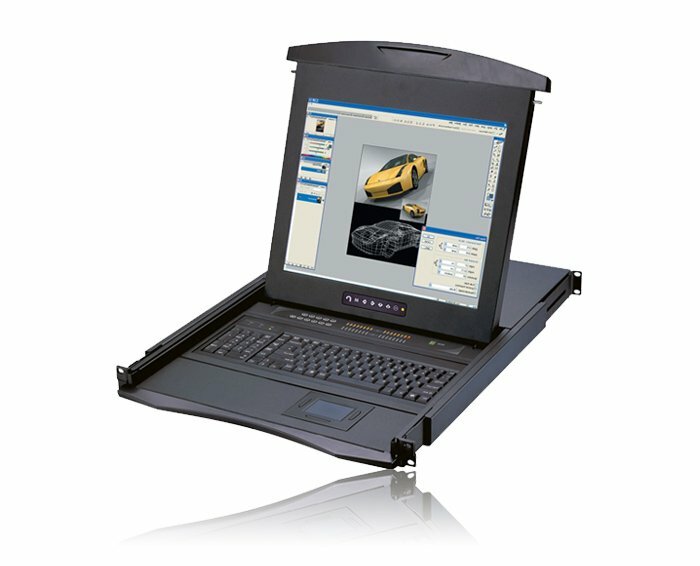 There are 2 Raritan KVM consoles : a 17-inch and a 19-inch version. Both possess a VGA or DVI-D input. The latter supports high-resolution video displays (1920×1080 for the 17" version and 1280×1024 for the 19" version). They are compatible with the Raritan KVMs (Dominion KXIII), as well as with other brands. USB 2.0 input for external devices such as chipcard readers. The following keyboards are included: English (US), English (UK), German, French, Spanish, Italian, Russian, Turkish, Korean, Chinese and Japanese. Keyboard monitor drawers with HDMI ! The Austin Hughes KVM drawers have additional features with wide screens (from 21" to 24") and the "Dual Slide" design which enables you to open the screen independently of the other equipment. In addition to their DVI-D and VGA inputs, the Austin Hughes rackmount lcd monitor drawers also offer the option of HDMI compatibility. The following keyboards are included: English (US), English (UK), German, French, Swiss French, Spanish, Norwegian, Italian, Russian, Dutch, Portuguese, Turkish, Arabic, Korean, Chinese and Japanese. Various keyboard models (Mac, Solaris, with or without trackball, etc.). Great flexibility in the choice of rack mount monitors and options.